If you have heard anything about Invisalign in Clapham, then you will know that much of the buzz is focused on the way that they look. One of the primary benefits of working with clear aligners is that they keep the smile looking clean and clear. Professionals and people who value the way that they look often ask about Invisalign when they visit Clapham South Dental Centre. This is why, today, we want to focus on the way that Invisalign in Clapham feels during treatment. The benefits of this innovative realignment method do not stop with aesthetics. When people comment on the experience, they will often talk about the physical experience of this method as well. People who use Invisalign in Clapham retain control of their treatment process. If you want to take advantage of this method for this reason, it is important that you know that there are still guidelines that you need to follow in order to realign your smile in the timeframe we will discuss with you at the beginning of treatment. It is true that you will be able to take your aligner out whenever you like but you will need to wear it for most of the day and night. The only exception to this is when you eat as your Invisalign aligner should be removed whenever you have a meal or snack. You are in charge of changing your aligner for the next in the series and you do not need to visit us every time this happens. However, the onus is on you to do this within the timeframe we will talk to you about during your induction appointment. 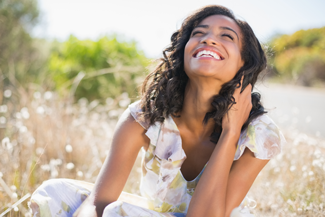 When you feel the outside of an Invisalign aligner, you will notice it is smooth and firm. This means that it is comfortable against the inside of your lip and on your tongue. Each aligner is custom-made to fit you and to achieve a portion of your treatment goal using pressure. The fit is therefore very snug. It should feel secure and very low-profile, so you never need to worry about conspicuous slippage or your aligner interfering with normal activities like speaking, smiling and kissing. This entry was posted in Invisalign on 28th February, 2019 by Clapham South Dental Centre. Whenever you decide to mix things up when it comes to your look, you are always taking a bit of a risk. Will that new haircut make you look stunning? Is it worth investing in that new lipstick tint? However, sometimes you have to make the leap in order to see great results. The compliments and the way you feel when things go according to plan are worth it. One way to minimise your risk when you undertake a new cosmetic procedure is to engage the support of professionals to guide you. If you are wondering whether to get Botox in Clapham, the team at Clapham South Dental Centre are here to help you trust the process. There are plenty of questions and concerns that we hear repeatedly at Clapham South Dental centre. These are all perfectly normal and based on things that people have seen or heard. We are here to answer all of your queries until you feel happy and safe to go ahead. Below are some brief answers to general questions we hear when people get Botox in Clapham. Botox in Clapham can help to smooth out reoccurring lines between the brows and at the sides of the eyes and lips. Everyone has different needs and reactions, but we can give you a general idea of what to expect when we meet for your initial consultation. You won’t see any effects straight away. They will develop over the week following your treatment. Before and after selfies are a great way to see the full impact of your Botox. Is there a chance of side effects? As with any medical or cosmetic procedure, there is always a small chance of minor or major adverse reactions. We tell you what to look out for so that, if you experience anything that is out of the ordinary, you can seek medical attention immediately. We can talk you through common, but not dangerous or difficult, sensations that people feel after Botox in Clapham. At Clapham South Dental Centre, we believe that this level of frankness is one of the reasons why our patients trust us to give them non-surgical cosmetic support. This entry was posted in Botox on 26th February, 2019 by Clapham South Dental Centre. If you have decided that braces are the only way to improve your smile, you may wish to consider clear braces. Unlike regular braces, clear braces are very discreet and can be even be removed. 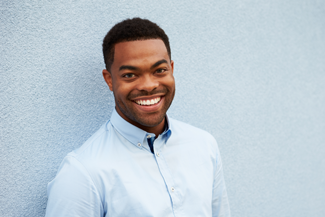 At Clapham South Dental Centre we firmly believe that your lifestyle shouldn’t change because of teeth-straightening treatment and for this reason we offer clear braces in Clapham. These braces can either be fixed or removable and are very effective at addressing various dental problems – from mild and moderate misalignment to bite issues (i.e. underbites, crossbites, overbites). No matter how you decide to straighten your teeth, teeth-straightening treatment can prevent gum disease, cavities, tooth loss, jaw problems and abnormal wear to your tooth enamel. Moreover, teeth straightening with clear braces in Clapham can restore your speaking and chewing ability. No more lisps or digestion problems because of crooked teeth. How long do I have to wear clear braces? In general, treatment with braces can usually last from 18 to 24 months, with the average treatment with clear braces in Clapham taking up to 18 months. Treatment with the Inman Aligner, however, will only take a few weeks. Length of treatment depends on the severity of your problem, the proposed treatment plan, your age as well as other factors which are not identical for each patient. Clear braces are very comfortable to wear and you won’t feel any discomfort, especially if you opt for Invisalign. However, some patients may feel slight discomfort for a few days after having their braces initially fitted, but this will go away soon. What should I expect on the first visit to the dentist for clear braces? When you come in for your consultation appointment, we will examine your teeth carefully and determine whether you are a good candidate for clear braces in Clapham. This can be achieved with the help of x-rays and other diagnostic tools. We have great experience with clear braces and we can’t wait to help you transform your smile. To find out more about clear braces in Clapham, call us today. This entry was posted in Clear Braces on 19th February, 2019 by Clapham South Dental Centre. If you have decided that Invisalign is the right treatment for you, then it’s time to book a consultation appointment with our experienced dentists at Clapham South Dental Centre. Once we help you determine that Invisalign in Clapham is the right treatment for you, we will guide you through the process and all give you all the details you are after. Invisalign aligners are very easy to wear and maintain and there is very little discomfort associated with them. However, Invisalign requires responsibility and not following a few rules can hinder the entire treatment. Unlike metal braces, Invisalign aligners are removable and allow you to eat and drink whatever you like. However, you must always remove your aligners before you eat and not forget to clean your teeth before re-inserting them in your mouth. Another great benefit of Invisalign in Clapham is that you can continue taking care of your teeth as you normally would. Simply remove your aligners when you are ready to brush and floss your teeth and your smile will always be healthy and free of plaque. To keep your aligners in great shape and help ensure that they work properly, always keep them stored appropriately when you remove them for eating or brushing your teeth. Only drink water when you wear them and when you remove them make sure to rinse them with water or a special solution before re-wearing them. This will prevent the build-up of plaque and bacteria in your mouth. Meanwhile, treat your aligners gently – they are made from a durable material but they are not resistant to destruction. If you play contact sports or you are about to do an activity that could harm your mouth, you are advised not to wear your aligners. However, don’t forget to wear them at least 22 hours per day – any less and you may be compromising the progress of your treatment. Do you want to learn more about Invisalign in Clapham? Give us a call and we will answer any questions you may have about this fascinating treatment. This entry was posted in Invisalign on 14th February, 2019 by Clapham South Dental Centre. If you want to soften the look of facial wrinkles and fine lines, you should try Botox. This treatment, which is short for Botulinum toxin, works by briefly freezing the muscles in your face which are responsible for facial expressions and wrinkles. Botox is also used in dentistry to treat migraines and other dental issues. At Clapham South Dental Centre, we offer Botox in Clapham to make our patients feel better in their skin. This treatment can be done either on its own or as part of a complete smile makeover, following other cosmetic dentistry procedures. Our experienced cosmetic dentists at Clapham South Dental Centre are qualified to administer Botox injections. As dentists, we have a thorough understanding of the face and the way muscles work and we know how to administer injections because we have been administering them for common dental procedures for many years. Botox is a non-surgical procedure and for this reason, it is not invasive. As a matter of fact, it can be completed in less than an hour in the dentist’s chair and for this reason, it is also known as a ‘lunchtime’ treatment. Most patients won’t feel uncomfortable during the procedure and although some swelling may be expected after the treatment, it will go away soon. The effects of Botox injections can last from 3-6 months and patients are advised to return to our practice for maintenance injections, which in any case are less invasive and less of a hassle than cosmetic surgery. To learn more about Botox in Clapham and how it can smile, contact us today to schedule a consultation appointment. This entry was posted in Botox on 12th February, 2019 by Clapham South Dental Centre. Some people firmly believe that you have to suffer in order to get good things in life. The pervasive underlying message is that anything that comes easy, can’t be as worthwhile as something that comes through hardship. When it comes to your dental treatment, we don’t agree with this idea. At Clapham South Dental Centre, we want to make any dental treatment that you have easier, more comfortable, faster, less costly and so on. If we could straighten your teeth with no effort from you at all, we would. However, while we’re still working on that, we have a compromise that we are happy to offer our patients – clear braces in Clapham. Working with traditional braces still has value but modern methods, like clear braces in Clapham, address many of the issues that many people have concerns about. Clear braces in Clapham are low profile and gentle. You will still be able to feel that they are there, but it shouldn’t feel like you have a big mouthful of metal. They are typically focused on your front teeth only. Due to the narrow focus of clear braces in Clapham, most people can get their teeth realigned in a relatively short space of time compared with traditional methods. This means that you can get your smile straightened now in preparation for a holiday or big event next year without having to worry about wearing braces in all the photos. Perhaps one of the biggest developments in braces in recent years is the focus on the appearance of the equipment. Companies who develop braces realised that more people would take advantage of the benefits of realignment if they could be reassured about the impact that braces have on the appearance. While clear braces are still visible against the teeth, they are much less obtrusive than old-style methods. This is down to the clear and tooth-coloured materials that are used to construct them. Whatever your concerns about wearing braces, come and talk to us at Clapham South Dental Centre. We can talk you through any issues and offer you reassurance in a clear and jargon-free way. This entry was posted in Clear Braces on 29th January, 2019 by Clapham South Dental Centre. 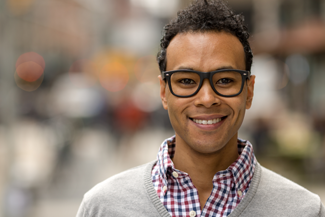 When compared with traditional braces, Invisalign has a clear advantage. Invisalign in Clapham is easy to wear, does not cause any irritation or discomfort and can be removed from time to time to brush your teeth and eat your favourite foods. At Clapham South Dental Centre we recommend Invisalign in Clapham to patients with minor or moderate alignment problems. Whether you suffer from crooked, gapped or overcrowded teeth, Invisalign can help move them into their correct position and alleviate pain and discomfort. Treatment with Invisalign, however, requires attention and responsibility. As the saying goes, a clean mouth and honest hand will take a man through any land. Cleaning your aligners every time you remove them will ensure that no food particles are trapped in-between them and that they remain in shape for longer. Every time you remove your aligners to brush and floss your teeth, put them in a glass of water and cleaning solution to sanitise them. You can either buy Invisalign’s branded solution or a mild solution for dentures. Be careful not to use a toothbrush or anything abrasive on your aligners, since they can be easily scratched and destroyed. It goes without saying that every time you want to eat or drink something – unless it’s water – you must remove your aligners. While the material used for the construction of your Invisalign aligners is durable, they are not made to withstand the continuous pressure of chewing and biting and can easily bend or break into pieces. Equally, drinking hot or cold liquids can bend your aligners out of shape and stain them. Wearing your aligners for 20-22 hours per day is a prerequisite for successful treatment. Any less and you could be compromising the entire treatment. If you are not sure about the amount of time you go around without your aligners daily, time yourself and try not to exceed 4 hours in total. Want more advice before you start your treatment with Invisalign in Clapham? Our helpful dentists are always here for you. This entry was posted in Invisalign on 24th January, 2019 by Clapham South Dental Centre. A dentist performing Botox in Clapham? If you have considered Botox to improve your facial appearance, you are not alone. In recent years, more and more people are choosing this treatment in order to take years off their face. And did you know that now your dentist can deliver Botox? At Clapham South Dental Centre, we put a lot of emphasis on our patients’ needs and for this reason, we provide Botox in Clapham. As specialists in facial anatomy and aesthetics, we can provide this non-surgical treatment to patients who wish to smooth out their facial lines and wrinkles. And what most people don’t know is that Botox is equally aesthetic and therapeutic. In some cases, we may use Botox in Clapham for jaw pain relief, yet it’s main function is cosmetic. Is it safe to get Botox in Clapham from a dentist? It is perfectly safe to get Botox from a dentist, since we are very thoroughly trained in this procedure and we constantly seek further training on the latest techniques available. As dentists, we have spent many hours examining the human face and we know everything about the muscles involved in Botox treatment. More importantly, part of our job requires delivering multiple injections, therefore we have a thorough understanding of the best anatomical spots of the human face. Last but not least, as cosmetic dentists we are very creative and we will strive to achieve the best result possible for your face shape and characteristics. Once you have your Botox injection, you may not notice a difference straight away. This is completely normal. However, if you don’t see any visible results after a few days, you should contact us. Botox is not painful; you may, however, experience some puffing for a few days that will go away on its own. Avoid rubbing the treated area because the substance in Botox can move to other parts of your face. Treatment with Botox in Clapham can last from 3-6 months and during this time your facial muscles will not contract, creating a perfectly smooth surface. Interested in Botox in Clapham? Contact us today to schedule your next appointment. This entry was posted in Botox on 22nd January, 2019 by Clapham South Dental Centre.